Skin cancers are affecting more people than in the older times globally, and rightly so. With an increase in the use of skincare products, makeup items as well as a rise in air pollution; skincare issues, especially skin cancers are inevitable. Whether you visit the beach with friends or go out for shopping, you should always wear sunscreen. The harmful rays coming directly from the sun can cause sunburns, dark spots as well as other skin related issues. Nevertheless, when it comes to purchasing a sunscreen, it can become difficult to choose the right one. It was believed back in the day, that SPF 15 could protect you under most conditions but with an increase in knowledge in the past few years, the dermatologists have revealed that if you need a proper amount of protection from the sun’s rays, you need to buy different SPFs and all sunscreens might not suit you. That is why here are tips on purchasing the right one for your specific skin type. The amount of outdoor exposure can reveal the type of sunscreen you should purchase. If you go out only for a few minutes, SPF 15 can do the trick and you can buy sunscreen online. However, for a broad spectrum protection, go for an SPF formula which is waterproof and is either SPF 30 or 30 plus. People with sensitive skin which often have acne and rashes should use a sunscreen which is fragrance and alcohol-free. Moreover, sunscreens with salicylates and ecamsule will be perfect for such people. On the other hand, there are specific kinds of sunscreens for people with sensitive skin which can be found in the shape of gels. Babies and young kids have softer and sensitive skins. You cannot choose to put on any lotion or cream as it might harm them. That is why when it is time to take them to the beach or an outdoor brunch, using sunscreens with the least amount of chemicals is the key. PABA and oxybenzone are two ingredients which react adversely for young kids. That is why it is ideal to use spray sunscreens for kids and guess what? 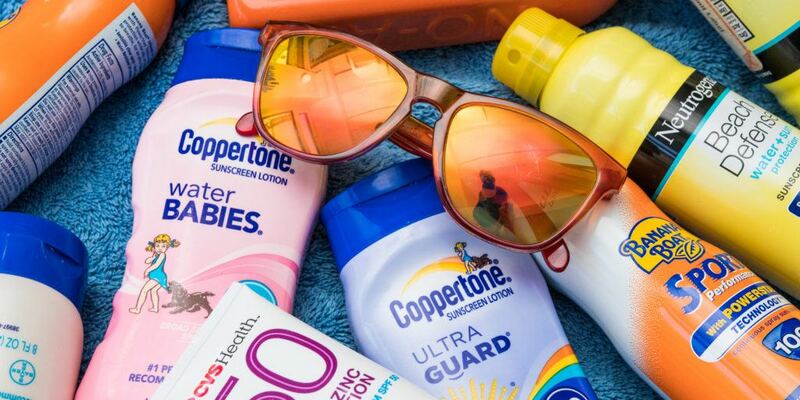 Most brands now create sunscreens specifically made for babies. Elder people can easily purchase sunscreens from discount pharmacy online Australia without requiring going to a local store. Since the skin becomes wrinkly and damaged, it is essential that they use sprays instead. If you have a skin type which is dry, flaky and rough, all you need is a creamy, moisturizing sunscreen. Dry skin can tend to dry out even more if you use a non-hydrating sunscreen. Moreover, if you put on makeup on top of your sunscreen, your skin can start appearing flaky after a while. With that said, since some brands of sunscreens use moisturizers in the mix, simply look for those specific details and benefit from it. Use for terms such as ointment or moisturizer on your sunscreen next time. It is a myth that people with dark skin tones should not use any sunscreens. With that said, people who have a darker tone usually do not witness sunburn or tanning easily. However, people with all skin tones need sunscreens, period! Dark people can easily use titanium-based sunscreens so that they don’t start appearing too white after the application. A small amount of sunscreen can do the trick. Consequently, a broad spectrum sunscreen lotion with a 15 plus SPF can do the trick. Previous Article Why do you need a solar water heater?